Can I find my MINI PC serial number (Desktop Mini PC,Small Computer Intel Celeron N4100 Processor(up to 2.4GHz) 8GB RAM/64GB EMMC HDD/HDMI/4K HD/WiFi/BT4.0/ Windows 10 64bit) ? The label is missing. Can I check serial number with a DOS command? I got the KODLIX just a week ago from Amazon. Sorry, this query cannot be used. Can you tell me your order number? I have seen you contact me in the mailbox. You can reply to me by email. So I guess I will have to return (to Amazon) for full refund and don’t see any point in replacing with the same model as possible design fault. This seems to be blocked by the button, you can open it and see if the button is blocked. What is wrong with your device? You can contact me for a description and I will help you. Can you see that the power light is on? I bought a GN41 few days ago and i am very happy with this minipc, but i had to restore the system for problems with a program instalation. But now my windows isn´t activated. How can I activate it again please. Could you give me the activation key?. Have you tried changing a power adapter to use it? Is its blue power light on? Can you tell me your order number and SN code in private? How to IMPROVE THE COOLING ? When the CPU is running at 100%, the temperature is up to 103°C !! Because the liberation of TDP reached 9W, it may cause very hot. If you need to be able to roll back the old version of the BIOS. ok, but the rollback version will lower the TDP and so the performance ? Lowering the TDP will not be a perfect overclocking. So performance will drop. I purchased a GN41 and it has worked great. Installed an SSD and had to manage the drive to get it recognized. Everything was great (albeit: typical Celeron processing) and this weekend it is not working. Read through this thread and tried other suggestions. Disconnected power box from the electrical outlet. Disconnect the power cord from the GN41. Let everything sit for a while. Connected everything back up, pressed the power button and got nothing again. Have you tried changing a power adapter? Does its power light not light? I have other 2.0A power adapters, but not with the connector to plug into the GN41. Correct, the power light does not glow blue. If you can’t light the blue light after changing the power adapter, then the interface may be broken. You can find Amazon seller support to exchange your replacement. What about the data that I have on the machine? How do I get that before having it replaced by Amazon? Is there a way to ship me another power supply to see if that is the problem? I set up my GN41(model MGW..). Since the suggested bios update, CPU usage has raised (before : idling at 4% – temp 50°) to more than 70% in windows, temp is >72°. System takes 30% and System Interrupts 25%. Same under linux (high cpu usage – raised temp). Any way to revert to previous bios??? You can run “win+R” to enter “msinfo32”, then run a screenshot and send it to my mailbox, let me see which BIOS version you are. Is there any problem with the installation? [ 0.000000] x86/fpu: Enabled xstate features 0x1b, context size is 704 bytes, using ‘compacted’ format. Thanks for your quick reply. I’ll go for Ubuntu then. Can I use any Ubuntu 18.04 installation media? Or are there specific drivers to load during install? On the way to install Ubuntu, there are two options that can be checked after setting up the network. Please check the box. He is enabled by default. Without a switch, can your USB memory stick not be recognized? I have a similar USB drive boots perfect from this device. 6. To switch back to windows switch back on Secure and change boot device. Thanks, but my bios offers no selection “boot device USB”(secure boot IS off ! ). For this reason I have NO fun. My email address is support@kodlix.com. Do you need to install the driver for this SSD? You can ask if the manufacturer has a driver supply. This was my first comment !!! What to do for USB-boot?? a Bios-Driver? I think the bios shall ecognize it. I insert a crucial BX500 2.5 SSD. The bios (and WIN) dosn’t recognize it. I want to boot LINUX from USB. So the bios has to support USB. May be (I hope) grub2 will end all my headaches. I don’t need windows-bootmanager! I need a correct working PC. How do YOU install Windows (or any other OS) without any ext. connection??? May be (is not yet), Windows is broken, what to do without ext. connection? You can use U disk to reinstall the system. Yes, USB-devices are recognized in all systems (in the GN41-windows too), but NOT in bios for USB-booting. I passed the trench with the engineer. Your USB device may be a non-generic device, so it is not recognized. It can be recognized under Windows because the Windows system automatically installs the driver for you.I suggest you use Kingston’s USB flash drive. USB should be identifiable, I don’t know why you can’t recognize it, can your USB device be recognized on other devices? Sorry, I had to press “REPLY” and not a new Comment! And: no, Windows dosn’t show me my SSD! Can you tell me the specific model of this SSD? Which manufacturer is it? Can you see it in the disk manager on the Windows system? Boot from USB, do you see the USB boot item when you press F7 at boot time? Can you send a few pictures to my email address? I really like my new GN41 MINI PC, i just wanted to know where i can get the latest BIOS and how to update it? Sorry, I only have one such file. This may be a little more troublesome. I have already used the one on the forum and updated it but looking at the latest Intel version we are behind? Is the HDMI port 2.0? Does it support 4K@60fps video playback via HDMI? Is there a manual for this PC? Yes, you can also see its details on Amazon. just bought the gn41 with ubuntu preloaded. wants user name and password to use device. Is this normal? where do i find this information nothing was provided in the box regarding this. Hi I may have posted on the wrong page, so I repost my message here. Sorry for the bother! Hi. I was very happy with my GN41 until I got a problem with the redistributable package that forced me to reset my Windows. And now, my Windows is not activated anymore. How can I activate it again please? Thx in advance. Hello I recently bought a GN41 and I installed a 500GB SSD to it and made it the D drive but I want to make it the C drive with the boot instead of having the 64GB C drive. What are the steps exactly to do that? Thank you very much for your advice. You can tell me how you improved? We are working hard to optimize, we have a new BIOS update, and it optimizes performance. We have published in our forum. My GN41 is missing its M.2 screw. It was not in the M.2 post or anywhere on the motherboard. Can you please provide details of the screw so I can attempt to source locally. Thank you. Hello. I recently purchased the Kodlix GN41. What is the RF miniaturized connector type for the WIFI that is connected to the IC board? Is it H.FL, W.FL, U.FL, MHF1, MHF2, MHF3 or MHF4? It is the antenna of the MHF1. Hi, I have the 8GB GN41. I would like to hook it up to a HDMI switcher such as a receiver or soundbar or HDMI switch since my monitor has limited HDMI ports. I could not get any HDMI output (except blurry digital noise). I’ve also updated to the latest BIOS (Nov 2018) and Intel gpu drivers (25.20.100.6471) from the forum but still same issue. I have also tried swapping HDMI cables and ports and changing from 4K 60Hz to 1080p 60Hz but still doesn’t work. It only works if the device is connected directly with the monitor. Is it possible to get this device to work on HDMI switch? When I was testing, when using the KVM switch, the audio output and video output of the GN41 are all OK. Can you do all the output? Do you need to install a driver for the HDMI switch you use? GN41 RTC (real time clock) as of 16th February 2019 has stopped. I’ve reset and the bios shows it working for about 10 minutes and then it stops. If I set a time manually its stops after about 10 mins. Turn the GN41 off with or with out power connected and when you turn it on the bios shows the last time it was set plus 10 minutes. The clock not working is causing trouble with the OS and other software. Please help! You can try this update to the BIOS in this link if you meet the conditions. 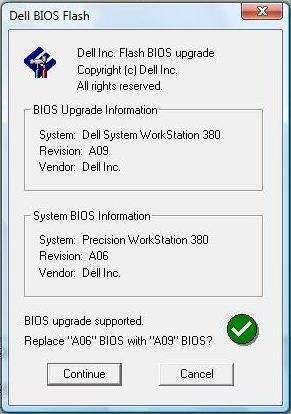 I updated to the latest BIOS ok but the issue persisted. After some more trouble shooting I found out that the Cmos battery was causing issues with the clock when it warmed up from the heat made by the motherboard. I have moved the battery to the side of the plastic casing and no more problems. If I stick the battery back on the motherboard the clock issue is back. I can only assume that the batter if not functioning properly when warmed up by proximity to the motherboard. A weird one true but all is well now with the Cmos clock with remedy. I do still have an issue as I performed a windows refresh as I was troubleshooting the clock problem and now Microsoft will not activate the machine. I have tried contacting Microsoft but no help with their automated system and cannot seem to get hold of a real person to resolve it. When I first got the GN41 and windows was set up I check that it was linked to a digital account and the machine was activated. Is there any help you can give me on this matter. You check to see if the battery is warming up as the motherboard heats up. If the battery is also warming up, it can affect the work, you can put the battery to a position where the temperature of the motherboard is not so high. Sorry, we don’t have this type of product yet. I reset the GN41 but now it is asking me for Windows Product Key. I already send the serial number to your support email. Can you provide another mailbox? I can’t send this email to you. The GN41’s power supply is 12V/2A and the length is 1.5 meters. Hi, I have successfully completed the Windows 10 install on 4 GN41s but during the initial windows install on the 5th PC something happened and it was never completed. Instead a had a blank screen for almost a day waiting. Now after the initial KODLIX logo which appears on start up I always get a blank screen and nothing ever happens. Is there a way to restart the factory Windows from scratch? Do I need to return it to you as faulty? I just received a mini pc gn41 and when I turn it on nothing happens. I arrive on an error page : …/vdrvroot.sys , error code 0xc0000242. what should I do? So I tryed your Image, but the U Disk kills itselfe??? The Clean command deletes the Bootstick an the Image would not be installed. Problem: GN41 broken BIOS? UEFI doesn’t work correctly and cannot be disabled. USB Legacy support seems permanently disabled (setting change does nothing). USB Legacy Enabled but all USB media is listed UEFI only (no legacy). If the USB CD-ROM holds a non-EFI disk it is not listed at all under boot options by the BIOS. With Secure Boot disabled any attempt to boot for media working on other PC only shows “Secure boot not enabled” and hangs there (normally should proceed). With Secure Boot enabled it gives “Binary is verified by the vendor certificate” and hangs. Q1. How to actually disable UEFI mode? Q2. How to list (and boot from) USB Legacy storage? Is your computer unable to access the system now? Or you just want to ban the emergence of UEFI startup items, this I can’t help you. At boot time, press the “F7” button to list USB Legacy. Can it work 1280x720px@75Hz? I´m looking for a device with that feature. If it does, my idea is to buy 27pcs. Sorry, it can’t reach 75Hz. What is the easiest way to transfer Win10 from the memory card to an SSD I’ve installed? I have both the 8GB RAM version and 4GB RAM version of this box (64GB drive on both). I would like to upgrade the 4GB box and would prefer not to tear into the 8GB box to answer my question… When upgrading the 4GB box, what memory do you recommend, and is there something specific I need to know when doing so, or is it just as easy as upgrading my laptop? Thank you. Hello! What did i had to activate if i want us the wake on lan option? Nothing happend if i send a signal! thank you for your help and everything has been done. I’m trying to install speakers, but there is no sound coming out the Headphone/microphone jack, where can I get the realteck audio output? Click the horn button on the lower right foot to switch the audio output. It can support the hard drive you mentioned. can i install windows 10 pro on 500 GB ssd storage. Then you need to buy a new SSD to install the system. Can you tell me the SN code behind your device? This way I can provide more accurate system files. Can I add another graphics card? How do I buy a replacement CMOS battery. I unit I got had a dead battery. You can ask if Amazon sellers are available for sale. hi, i just bought and received a GN41 and mounted a ssd to the internal circuit board slot above the battery. but it is not detected to be there by bios nor windows. it is a Western Digital WD BLACK High-performance NVMe SSD, 250 GB. so double checked it s fitting correctly. bios has a section “NVMe” devices that shows “no devices found” state. – the ssd is correct or is there a model you can name that works? – did i do something potentially wrong? – is there a bios update for the board available i could apply? – is it further correct that the computer will never boot after a power outage? the bios offers a power up setting (S0) which seems to promise that it can work. This PC supports the M.2 NGFF 2280 SSD. As for NVMe, it should not be supported. Some of our new GN41s can be booted in a specific way, but it is not controlled by the BIOS. hallo again 🙂 i solved it by properly ordering and installing a *SATA* m.2 device. the sata requirement fell off the list before because the fact that gn41 requires sata (on m.2 ngff 2280) was not clearly visible on all tech specs available on the internet, but yes in many places it says so. i was further fooled by the bios section “NVMe” and by the hardware connector (key somethig) on the board which perfectly fits nvme. but today i tried a brand new samsung 860 evo SATA m.2 500GB and it popped up in windows right away. unfortunately sata is slower than nvme but i ll happily die that death. Why does your advert say I can’t install a HDD more than 2TB? Is there a setting in the system that means a 4TB wouldn’t be recognised? Is it possible to install ubuntu 19.04 on it? I specifically want to install ubuntu studio. Is there a tutorial on how to install ubuntu or other versions of linux? Can it be installed with dual boot to keep windows 10 as well? 19.04 has not been tested, you can install the 18.10 Ubuntu system. During the installation, do not choose to clean the disk and install it to use the dual system. Thanks, I actually decided to install Ubuntu Studio 18.04. Made a bootable usb stick with Rufus in Windows, then went to recovery settings in windows 10, reset into recovery options, and selected to boot from UEFI usb. Ubuntu install went easy, choosing to leave Windows, and now I have dual booting options of Ubuntu or Windows. Both work great! I love it. The ad should say that the maximum support is 2TB, so 4TB hard drives are not recognized. Can you tell me that you are there? Hi, I have a stupid little problem. Different programs (ideaMaker and gog) do not work properly on the device. i have not installed any additional virus scanner. This programs start and shortly after close again (with gog an information is displayed that the connection to a connectino layer is broken, with ideMaker there is only a similiar infomation on the event log). This Windows 10 Pro is no different from the others. Did you make any mistakes when installing these two software? Or can you tell me what errors will they prompt when they are automatically closed? This error tells me that the LIBEAY32.dll file prevents it from starting. Check to see if there are any incompatibilities. yep. and LIBEAY32.dll is an OpenSSL library. The other program only stops without so much Information, only says that communication to communication layer is broken. The other is also about a connection and not found authority. Does it support a touch screen monitor? Sorry, it does not support it. Hi, I have attached the GN41 with a touch screen monitor. The touch screen i have has USB for touch and hdmi for audio/video (an iiyama ProLite ). Windows 10 has directly detected the touch screen as input as soon as usb was connected. Therefore dependend on the touch screen it can work. Wow, really? Can you tell me what brand of touch screen is it? this one https://iiyama.com/gl_en/products/prolite-t2252msc-b1/ it is quite cheap, but i do not have more space near a 3d printer for which i ordered the gn41 and the monitor. with usb it is just plug and play. But there are a lot of different windows 10 touchscreens with usb. VGA adapter works fine, but the HDMI does not is there a setting I need to change? Can’t HDMI be displayed? You can go to the system to see if dual screen display is turned on, or to see if HDMI is recognized. If not, please try to change an HDMI cable. I bought a gn41, I would try to install linux to see how it goes. Where can I find the image of windows 10 if I want to go back to using the microsoft system? Can you send me the private code of the sn code behind your device? I need it. hi, I bought two gn41, one of the two gives me problems restart after shutdown, the only solution to get it started is to turn off the power before proceeding with the boot. Hi, your device is turned off and you can’t turn it on after pressing the power button. Do you need to unplug the power and then press the power button to boot? Yes i need to unplug the power and next press the power butto to boot. You can try pressing the reset button to turn it on. I’m having this issue as well. Here what I’ve tested so far restart is not and issue GN41 restart properly. When you shut the OS down and it is impossible to power it back on again via the power button. I figure out that if you unplug the Mini GN41 PC and power it it back on the power button is enabled once more and you can power on the mini pc. Will this issue be addressed. Our engineers are actively troubleshooting the problem and will provide solutions accordingly. If it affects your use now, you can contact Amazon Seller Support to replace it. How do I turn off the screen saver mode? You can turn “Settings” – “System” – “Power and Sleep” to set the screen and sleep to “Never”. What is the correct SD category SD card that is compatible with this unit? SD, SDHC, SDXC? Or none of these? Our equipment supports SD, SDHC. You can safely purchase these two types of SD cards. You can press “Delete” to enter the BIOS setup priority startup item. howto boot on usb drive to install linux please ? Note F7 key doesn’t display USB options ! I installed the graphics driver from Intel, now I don’t have access to Intel graphics settings. Is it impossible to open Intel graphics settings? This is because you have closed the Windows .NET Framework and you can’t open it. Control Panel – Uninstaller – Open or close the Windows function, open the .NET Framework, and restart it to solve the problem. The .net framework was already enabled. The .net 3.5 and all sub-item are enabled. I still don’t have the Intel graphics settings option when I click on the desktop with the right mouse button. How do I enable it and is there another way to access it? I am interested in upgrading the system RAM from 8 to 16. Can you give instruction to safely open case? Will this PC take standard DDR4 8 GB stick? Or did you all install two fours making it more expensive to upgrade? But what is the different between GN41 and N42-D ? Does the bios support WOL (wake on lan)? i need to do a factory reset. How can i do it? The reset takes a few hours. is it possible to activat “auto power on” in gn41 bios? so that the device automaticaly restarts after power fault. Sorry, the GN41 does not support activation of “automatic boot” in the BIOS. Hi, I bought a GN41, and I see in the BIOS->chipset->miscellaneous config->state after S3 that it should be possible.., how does it works/what’s this function supposed to do? “S3” is “Sleep”. In this state, the main memory (RAM) still has power supply. I installed a Samsung 970 Evo SSD drive and the computer is not recognizing it. Any ideas? Is it NGFF type? Our machines only support NGFF type SSDs. Do you have a Brand and model number of a recommended NGFF SSD? I don’t have a good recommendation, but you try to buy the brand’s SSD, the quality will be guaranteed. Thank you, I found my issue. After installed I needed to go to settings then storage and manage storage spaces to format the drive. Hello, I have tried several different NGFF 128 and 512 SSD cards. The bios does not recognize any of them. In advance setup it states no NVME found, any advise? Do I need to move the pin above the board to a different position? Is there a system in your ssd? Perhaps this BIOS does not clearly state the SSD. You can take a photo and send it to me. How do I get into the bios to change the boot drive after cloning the internal C: drive? I have tried F`0, F8, F2, F1 and none of them work. Press F7. As soon as you power on, keep pressing F7 over and over again quickly until the UEFI screen appears. It happens very early on so be quick with pressing F7. Press the “del ” key to enter the BIOS.